Laminated chipboard – this is plain chipboard material with extruded coating melamine resin and coated with varnish. Due to this LDSP processing is much longer, not exposed to moisture, swelling and destruction. But even the most resistant coating over time loses its protective properties and appearance. Therefore, any product of chipboard can be covered with tape or paint. To paint laminated chipboard, you must first prepare the surface as normal staining without training will not lead to the desired result. 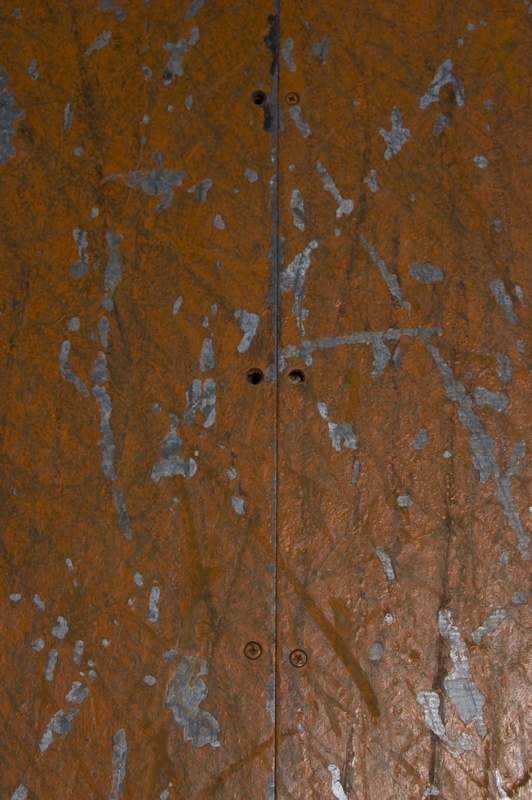 Chipboard has a smooth surface on which to paint, even if they fall, but will not last long. For surface treatment take zero sandpaper, grinding machine. Using the orbital sander and sandpaper, remove the entire top layer, which is impregnated of melamine resin and varnish. Work very carefully. Do not forget that a protective layer is plain chipboard that will begin to paint, if treatment should be done deep enough. The treated surface, wipe with solvent, apply a coat of primer with antiseptic. Allow primer time to dry for 24 hours. Apply a layer of paint. Paint you can use any as after grinding the surface you will receive an ordinary wood-shaving plate, which is painted by any means. Apply paint with a velour roller or spray gun. After drying of the first layer, repeat the staining. After 24 hours apply on painted surfaces clear coat, after 24 hours another layer. Thus, you will get a durable coating, which, a few years will protect the chipboard from moisture and swelling. Instead of paint you can use a stain or just apply a few colors of nail Polish tint. If you use a stain before applying, do not cover the treated surface with a primer. After polishing just make sure to clean the plate with solvent and immediately apply the stain. For more intense color, repeat the application once or twice, it depends on your desire to receive less or more intense color. The stain dries in 12 hours. So after the specified period you can apply varnish. Laminated Board is a sanded chipboard, covered in special circumstances paper and resin film. In the result, the laminating film is firmly attached to the wood stove, chipboard ensuring high operational characteristics. In the 21st century laminate is increasingly replacing solid wood market furniture production. Laminated particleboard (chipboard) – is particle Board, covered with a film having a paper base and impregnated with formaldehyde resins. Laminated particle Board must be held in special conditions (temperature of 120-140 C, a pressure of about 25 to 28 MPa), resin extruded paper, film and spreads on the plate, the resin may start to occur polymer processes. The technology of colouring of a tree is a fairly time-consuming process. After all, it is required to strictly adhere to a certain mode. So the interim operations must be carried out at a temperature of 17-27оС, relative humidity 50-80%, and wood moisture 8-15%. The painted surface, paint materials and paint equipment must have the same temperature. Although this all does not mean that the paint work can only be performed by specialist. Judge for yourself. Acrylic paint (lacquer or primer) for wood furniture and doors supplied ready to paint. If you spend your own tinting helmets, please note the following: filter the paint and varnish materials (LKM) through a filter 50-100 microns. This is a mandatory operation. Filtered LKM stored more than two weeks before painting filter again. The porous wood surface priming is necessary before applying them to the finish. Recommended spray pressure of the primer is about 3 ATM., the size of the nozzles – from 1.6 to 2, 4 mm, thickness of the wet layer should range between 80 and 120 microns. Drying of the primer spend in the range of from 15 to 60oC. The surface before polishing dry for at least 30 minutes, but not more than 6 hours. Primer on wood is designed for hand and machine sanding. In addition, the primer is virtually ideal for infrared drying. Do not allow refinishing to the ground. If such areas arise, they should be re-primed. Are painting with water paints based on acrylic by aerial spraying. MDF should be painted in a single layer, with a recommended wet thickness of the layer from 80 to 120 microns. Place the wood surface under the angle 15-20 ° relative to the surface of the floor to make it easier to produce color. If the surface of the wood perpendicular to the floor, its also quite comfortable to paint. Painted with acrylic paint wood or MDF for maximum performance and stability must be dried. Drying mode: 35-60oC, relative humidity from 50 to 80%, duration – about 1.5-2 hours. Use possible convection method of drying, and also control the relative humidity inside the drying chamber. When you want to change the interior of the apartment, and the time and money to buy new furniture is not enough, will help a creative mind and deft hands. With the help of improvised means and materials remaining after the repair, it is possible to change the color of boring furniture. Professional replacement upholstery doing in specialty stores. However, with a small chair or Ottoman you can handle yourself. Fight back the old fabric and remove the soft filler, if it is worn out and wrinkled. 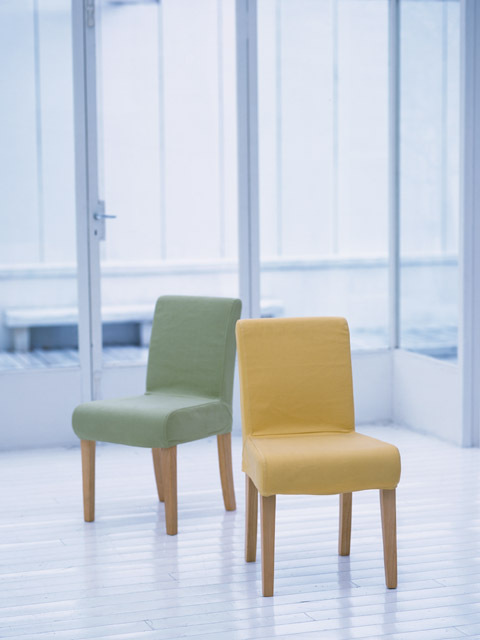 Cut out of thick foam parts, corresponding to the shape of the backrest, seat and armrests of a chair or couch. Apply on the surface of the furniture on the perimeter all-purpose adhesive (squeeze his thin dotted line) and attach the foam, not pressing. While the glue dries, take the cutting out the new upholstery. On the fabric of the right color, draw a square, equal in size to the seat. On each side, add 10-15 cm allowances for seams and the hem. At each of the corners make a cut, reaching to the line, which was designated the perimeter of the seat (the incision should divide the right angle of the square at 45 degrees). All edges of the fabric fold in 1-1,5 cm and hem. Put the workpiece on the seat so that legs are held in slits at the corners. The free edge of fold under the seat and secure with a stapler. To make removable covers for furniture, to the corners of the parts, sew tape, which wraps can be tied. To change the color of wooden parts you can use acrylic paint and for wood impregnation. Old paint from furniture remove, cover the surface with primer and allow to dry for half a day. For a radical change in appearance, paint the tree with acrylic paint using a roller of suitable width. Use a brush for these purposes is inconvenient, because there will be grooves from the fibers. To give the wood a fresh, but at the same time, natural shade, cover parts of furniture stain or varnish, these compositions highlight the texture of the material and only slightly adjust his real color. Iron elements can also decorate. Prepare them for painting by clearing away dirt and abasiri, then apply 2 coats of anticorrosive treatment. When the Foundation dries, paint the metal parts of the furniture waterborne enamel – it will give long-lasting matte coverage that will last several years. At least once in life many of us have a wish to change the color of the furniture. Reasons for this could be, as the intention to refresh old furniture, and when he managed to find a set, suited to all except the color. How to change the color of the furniture yourself? First, we consider the cases when the wooden furniture is not polished. Furniture is the soul of the room, its main component. If a person wants to change something in the design of his dwelling, he often changes the furniture. New furniture gives the new paint and the house. Is it possible to change the interior with the furniture that already exists? The answer is simple – Yes! Most people begin to move furniture. A new place for furniture is like new life. To protect and improve the decorative properties of products made from particleboard, they should be covered with waterproof varnish or polymeric films. How to paint the Cabinetto return to it original form? - a brush or roller. These wardrobeyou can cover with paint or varnish. The Polish refines the appearance. Before painting it is important to carry out preparatory work. 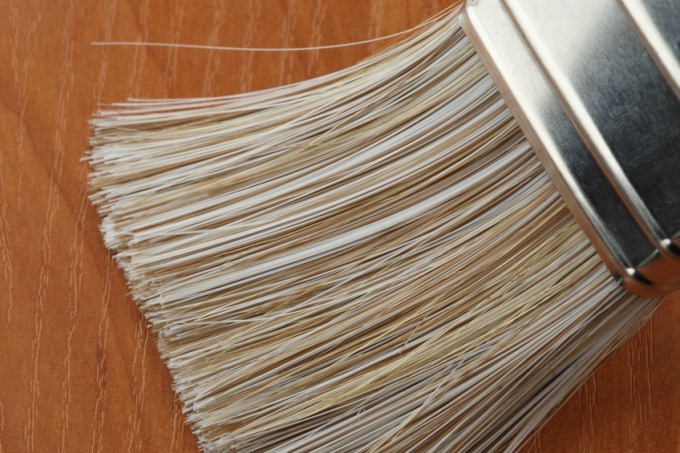 Using coarse sandpaper, remove the old layer of paint or varnish. Carefully where you want to locate the surface as much as possible to get rid of the bumps. Remove dust and dirt. Fill cracks and chips. To do this, apply putty to create a smooth surface. Possible swipe the entire surface with putty Cabinetand in two steps. Let the first layer dry thoroughly, as there can be shrinkage. Apply a second coat of putty. Proceed to the responsible process – grinding. Use fine sandpaper. The result is a completely smooth surface. Remove any dust left after sanding. Not less important stage of preparation – primer. 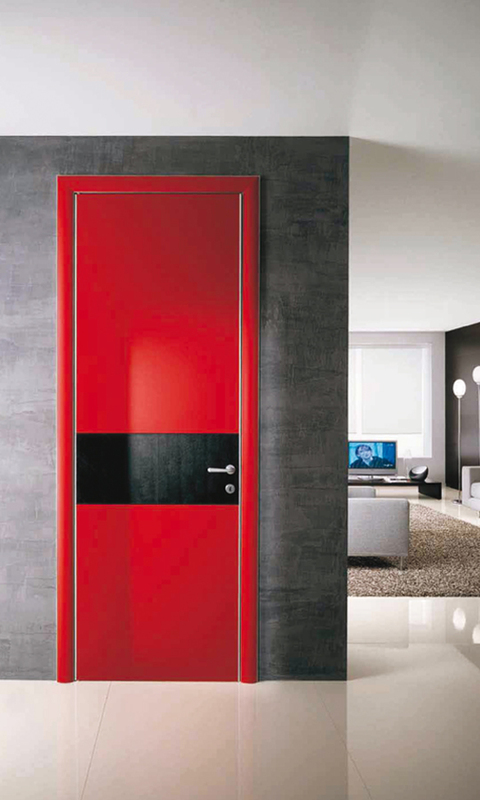 It will provide a beautiful Shine and smooth as possible the surface color of the wardrobe. To Prime the can with a brush and roller. Apply the first thin layer. Wait for final drying. After finishing the preparatory works start painting the wardrobe. Typically, the paint or varnish on the chipboard is applied in 2 layers. If you notice errors on the surface, then clean with fine sandpaper. When painting the individual parts of the surface, use masking tape. It will help to prevent sagging and the appearance of jagged edges. Do not use in this paper another Scotch. It can stick pieces of paint. For the final drying to leave the wardrobe for about a week. That's enough time to nail is firmly attached to the surface. When painting you can use various stencils, which will be interesting designs and patterns on the surface of the wardrobe. If your wardrobeand damaged ends, protect them with veneer. To do this, enough with the hot iron to glue the plastic tape with an adhesive coating.